If you consider yourself the type of person who is always either "Way Ahead of the Curve" or "Way Ahead of Your Time" when it comes to just about anything that you have ever been involved in, then I am sure you are going to appreciate this article. On the other hand, if you are the "Cautious" type and prefer to observe how well others have fared prior to jumping on the bandwagon, then I am equally sure that what I am about to both announce and propose will definitely send shivers down your spine. I recently wrote the March 26, 2018 article ::It's Official! CloudCoin Is Now Accepted At ...:: in order to congratulate and support the founder of CloudCoin for being Way Ahead of His Time and "not following the herd." He chose to create the world's first and only "Cloud Currency" instead of going down the typical "Blockchain" and "Crypto Currency" route. The bottom line is this: As it now stands this very second, CloudCoin is the next-generation digital currency that every single cryptocurrency and utility token out there in the digital assets arena has to beat and, if I might add, none of them are even close to reaching that goal. What makes it a "perfect digital currency" is that its beauty lies in its features and technological simplicity instead of technological complexity. Thus the reason why I immediately made the decision to accept it for services provided by a couple of our entities. But What About ALL Other VOMI-Related Entities? Perhaps you may be wondering why I did not make the decision to accept CloudCoin for ALL VOMI-related entities instead of just a couple of them. After all, what's good for the goose is good for the gander. Frankly, my reasoning then, though I now realize it was deeply flawed, had to do with the fact that these two entities offered the lowest-priced services that both current and potential clients would be interested in paying for with CloudCoin on an experimental basis: USD $3500 and $10,000 :: since I was then offering to accept on a 1:1 basis one CloudCoin for each US Dollar of services (even though one CloudCoin was then trading at only three (3) US cents :: $.03). In other words, for a limited time, we were willing to accept 3500 CloudCoins and 10,000 CloudCoins (with a cash value of $105 and $300, respectively) for our $3500 and $10,000 services as an incentive to both current and potential clients to invest a little bit of time and effort to learn more about CloudCoin. By the way, that offer expired on July 11, 2018. We now accept CloudCoins for US Dollars strictly on the basis of their current exchange value. For example, assuming the aforementioned exchange rate of 3 Cents per CloudCoin, we would now accept 116,667 CloudCoins for the $3500 service instead of 3500 CloudCoins; and we would now accept 333,333 CloudCoins for the $10,000 service instead of 10,000 CloudCoins. As the old saying goes, "all good things must come to an end." However, a lot has changed for the better over the past four (4) months. How time flies! CloudCoin is no longer a diamond in the rough languishing out there in obscurity. It is now the rave and gaining widespread acknowledgement, recognition and acceptance as "The Gold Standard of All Digital Currencies" in both the Crypto Currency world and the Digital Currency (Digital Assets) world. Thus, I made the decision to accept CloudCoin at its current fiat currency trading value for ALL services provided by ALL VOMI-related entities: 1) Virtual Organization Management Institute ("VOMI"), 2) VOMI Global Think Tank, 3) VOMI Virtual Organization Academy, 4) VOMI Executive-In-Residence, 5) Virtual Organization Recruiter, 6) League of Extraordinary Virtual Organization Executives, 7) The New Virtual Organization World Consortium, 8) Virtual Campus Dormitory Consortium, 9) Virtual Residential Community Consortium. 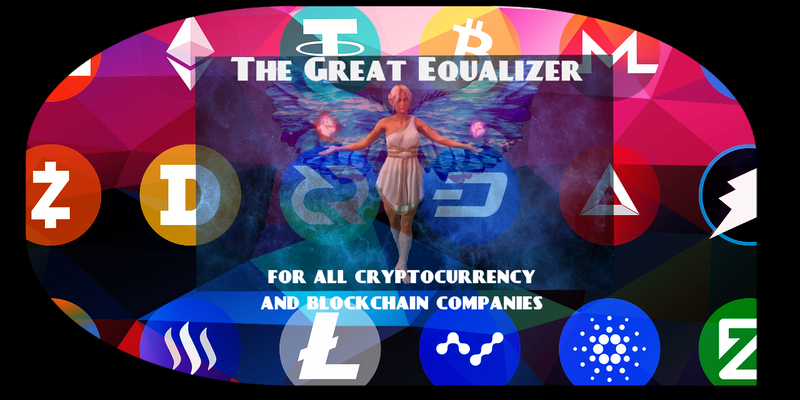 However, that being said, the more I reflected on the decision to accept "the perfect digital currency" CloudCoin for ALL services provided by our related entities, the clearer it became to me that I should not look at just "One Superstar Player" to root for and that there are many other "Great and Exceptional Players" out there that I should also consider and engage with; players who can eventually and collectively become a Winning Team. After all, as the owner of a basketball franchise, you wouldn't want to have only the Superstar Michael Jordan (back in his heyday) on your team. Nor would a basketball fan pay just to see Michael Jordan running up and down the court playing by himself. What makes the game exciting is seeing Superstar Player Michael Jordan on the court assisted by other Great and Exceptional Players competing with other teams. The question then becomes: "How will I go about identifying all these potential Great and Exceptional Players and what are the selection criteria for inclusion on our Winning Team?" Other than using a crystal ball, I couldn't think of any simpler solution than to just "Let Them All Play" and see them in action. The Great and Exceptional Players will rise to the top; the ones that have a great deal of potential to become the latter will begin to bubble up on the surface; the Budding Superstars will attract our attention; and the Deadbeat Ones will stand out like a sore thumb and be flushed out. Thus the reason why I decided to accept ALL Digital and Crypto Currencies in spite of the fact that a good number of them may wind up with zero value. "Pierre, Aren't You Throwing Caution to the Wind?" With respect to a good number of you, I can just imagine what may be going through your head right now: "Pierre, with so many of these ICO scammers and fly-by-night operators out there, aren't you throwing caution to the wind?" 1) Nearly one hundred percent (100%) of the services that we provide are purely of an intellectual property nature and consist strictly of knowledge sharing and dissemination - knowledge that can make the difference between total success for an organization versus not only losing tens to hundreds of million of dollars but also incur an opportunity cost in the range of millions to billions of dollars. Most of these services are High-Ticket items ranging from USD $1 Million to $15 Million. 2) Regardless of the payment method, these services are not off-the-shelf items that anyone can just order online and pay for immediately. Every single Client must undergo our standard Client Selection process, at which point, we'll be able to discern whether or not they have a valid need for our services and a clear understanding of our terms. That means we will not be accepting a bunch of "useless and worthless coins or utility tokens" from scammers or parties who would use them primarily for the purpose of infiltrating our organizations and go on a reconnaissance mission. 3) Even the largest, most sophisticated and technologically advanced organizations, countries and governments lack the intellectual maturity (in terms of executive management, futuristic vision, pioneering spirit and innovation) that is needed to understand exactly what it is that we offer and the tremendous amount of benefits that their organization stands to reap from our offerings. In other words, for the most part, that means Executive Management at most of these organizations are NOT what I described at the very beginning of this article "individuals who are Way Ahead of the Curve or Way Ahead of Their Time." Thus the reason for the decimation of the brick and mortar retail industry and hearing their executives (and very clever politicians) placing the blame squarely on Amazon. The bottom line is this: Amazon saw the future and "These Retail Executives" not only didn't but also refused to see it even while it was (and is still) unfolding right there in front of their eyes. 4) As much as I hate to say it, the aforementioned reason at item #3 equally applies to most of the individuals launching these ICOs (Initial Coin Offering) and looking to create and build the latest technological gadget, invent the next-generation technology, and forge a great company. These individuals consist of: (1) extremely bright, young and talented Geeks - I take my hat off to all of them; (2) former "die-hard brick and mortar executives" looking to ride the new blockchain technology and crypto currency and utility token wave and make a small to large fortune; (3) executives in joint ventures backed by major corporations, leading financial institutions and, in quite a number of cases, governments; (4) former, current and future venture capital and angel investors who are "intelligent enough" to take advantage of this paradigm shift in investment - a golden opportunity; and, last but not least, (5) hard money lenders who see these ICOs as an ideal opportunity to repurpose their financial assets and revenue generation strategy. Over the past 25+ years, the technology community has been very busy developing and building the technological infrastructure for this world of virtual organizations I call "The New Virtual Organization World":: a world that we are all headed toward whether we want to or not; however, most of us are completely clueless in terms of how to successfully operate, navigate and manage in that new world :: which is where each and every single one of the services that VOMI provides, on its own and through a number of consortia and other initiatives, come into play. And when most of these builders of The New Virtual Organization World reach our websites, the brick and mortar blinders that they have on prevent them from thinking that far ahead and getting a 360-degree view of that world. Thus unable to see the nexus between our offerings and the current path that they are on. As for the sheer volume of them who are just budding blockchain technology entrepreneurs and brilliant innovators with big ideas launching these ICOs:: who are supported by a number of dedicated volunteers, collaborators and/or a skeleton staff, if any:: and just don't have the actual fiat currency (CASH) to pay upfront for the USD $1 Million - $15 Million offerings we currently make available to Forbes Global 2000 (or Equivalent Enterprise Level) organizations and governments around the globe:: I am sure that many of them will fail to realize and swiftly take advantage of "The Great Equalizer" opportunity that our groundbreaking policy to accept ALL digital and crypto currencies and utility tokens provides to them (regardless as to whether or not the crypto currency or token is listed on an exchange). For example, imagine yourself being on a very gigantic ship with a bunch of fellow surfers out there in the middle of the deep blue sea. One of the surfers, a very bold and adventurous one, I might add, observes this very large, beautiful and very seductive ocean wave coming out of nowhere and decides to hop on his surfboard and ride the wave. In no time at all, many of the other surfers take their cue from him and also hop on their surfboard. But there is only one problem: None of these surfers know how far or where that giant, seductive ocean wave will take them nor do they care to know. They only care about what they can now see and hear with their own two eyes and ears. Thus unable to prepare themselves for what they are surely bound to encounter both en route to and when they reach their final destination. In conclusion, the likelihood that we would fall victim to some scammers is extremely remote, if not nearly improbable or impossible. This scammer would have to be an "evil genius" which is an oxymoron. Why? You cannot be both evil and a genius because these characteristics are mutually exclusive. The very first question that most people have a tendency to ask when presented with an "opportunity that is just too good to pass up" is: Is this some sort of gimmick like the typical "freemium model" or crippleware or some tiered pricing structure; or is it a special promotion for a limited time and how much time do I have to make a decision? We will accept every single organization who responds to this offer as long as they meet our qualification requirements and as long as we can provide them with the same quality and level of services as all cash-paying clients. In other words, everyone receives equal treatment. As well, this is not a "bait and switch" offer wherein we offer the 100% crypto payment but also present you with a range of other payment options such as 50-70% in crypto or tokens and 30-50% in cash. However, come renewal time in Year 3, although your coin is still trading at $4 per coin, let's say that, based on various analyst projections or some killer app coming down the pike, you believe that the trading value of each coin may eventually reach or surpass $1000. At which point, prior to renewal, you may prefer to switch to paying in Cash for Year 3. That is totally acceptable to us. The bottom line is this: We will never cancel or fail to renew your membership based on "payment options." As to the second part of the question, "No, it is NOT some special promotion for a limited time." Although I am well aware that Sales and Marketing 101 says you should always give a deadline in order to express a sense of urgency and entice people to take immediate action, otherwise they will procrastinate to a point where your company, product or service becomes nothing but a blur or distant memory in their mind, if not completely forgotten. The problem that I have with this tactic is that some people eventually get to develop "buyer's remorse" and, instead of taking responsibility for their own actions, they will find every possible way to shift the blame onto others and attempt to cause mischief using whatever means they have at their disposal. (A quick hint: 1000s of individual and class-action lawsuits every year.) Our policy is very clear: No refunds or pro-rata credit under any circumstances. To illustrate, as a matter of principles, I am willing to spend millions in order to defend against a $10,000 refund request. Thus the reason why I go out of my way to make 1000% sure that no stones are left unturned when it comes to letting others know exactly what we offer, what we expect from them and vice-versa (without any sugarcoating, bells and whistles, and smoke and mirrors). I prefer to collaborate with (instead of "sell to") individuals and organizations who are so enthused and excited at our offerings that they will place doing business with us on their #1 priority list. Otherwise, I don't really care to play games, chase after anyone or treat adults like a bunch of children who need to be manipulated or handled with kid gloves. What you see is what you get! 1) Virtual Organization Management Institute ("VOMI"), 2) VOMI Global Think Tank, 3) VOMI Virtual Organization Academy, 4) VOMI Executive-In-Residence, 5) Virtual Organization Recruiter, 6) League of Extraordinary Virtual Organization Executives, 7) The New Virtual Organization World Consortium, 8) Virtual Campus Dormitory Consortium, 9) Virtual Residential Community Consortium. Upon receipt of your submission, we will schedule a videoconference in order to gain and assess your insights, provide you with a great deal of insight into how you can take maximum advantage of any selected offering, as well as answer any questions that you are bound to have. The verification and approval process may take up to 5 business days. Upon approval, you will be notified regarding Next Steps. That is all there is to it!